Officials gathered Wednesday near the intersection of Carlotti and Seaward drives, where an access point is located for the multipurpose trail along the Santa Maria River levee, to unveil the new trail sign. Mayor Pro Tem Etta Waterfield read a letter from Mayor Alice Patino, who could not attend the ceremony, honoring the former Santa Maria City Council member. Urbanske ran for a seat on the Board of Supervisors, serving “with integrity and fairness — more than I can say for some of our South County politicians,” the mayor’s letter said. Urbanske also was known as a walker and bicyclist, making the trail especially appropriate, Patino wrote. “I’ve got to say Tom, to be able to convince Tom Fayram, that you could use part of his area on his beloved levee for recreation, is probably one of the biggest accomplishments that you’ve ever done,” Lavagnino said, referring to Fayram, the county’s deputy public works director of water resources. After leaving elected office, the retired educator remains active in the community, Lavagnino said. 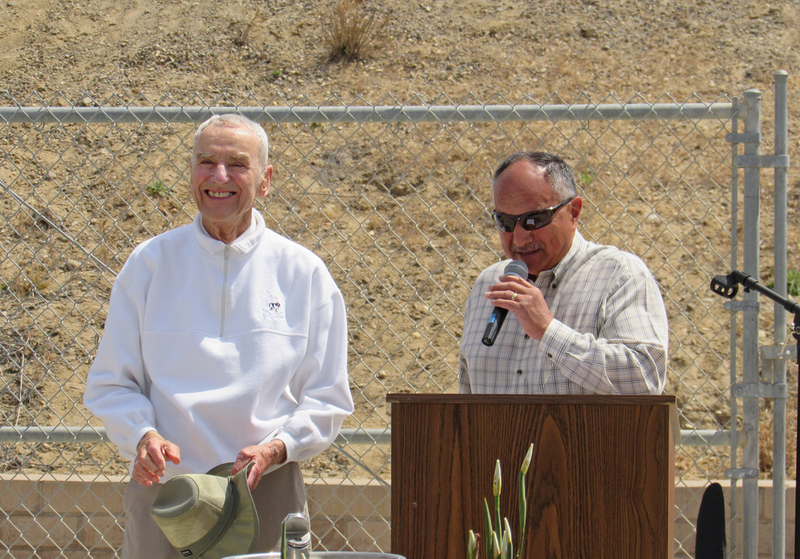 “Tom, Santa Maria would not be the place it is without people like you,” Lavagnino said. “I don't know how much we understand how great this community is,”​ Urbanske said, noting politicians are able to work together as a community despite differing opinions.